Karen Herrera-Ferrá, MD, MA lives in Mexico City and founded the Mexican Association of Neuroethics. She has a Post-doctorate in Neuroethics (Neuroethics Studies Program at the Pellegrino Center for Clinical Bioethics (PCCB) at Georgetown University), a MA on Clinical Psychology, and an MD. She also has a Certificate on Cognitive Behavioral Therapy and another one on History of Religions. She has a one-year fellowship on Psychosis and another on OCD. She is currently a PhD Candidate on Bioethics. On May 2016 she developed a national project to formally introduce and develop neuroethics in her country. The main focus of this project is to depict and include national leaders in mental health, interested in neuroethics, so to inform and divulge this discipline among scholars and society. She also works as a mental health clinician in a private hospital, lectures in different hospitals and Universities in Mexico and is an Affiliated Scholar of the Neuroethics Studies Program at the Pellegrino Center for Clinical Bioethics PCCB at Georgetown University. Her interests and research focus on two main topics: recurrent violent behavior and globalization of neuroethics in Latin America. Arleen Salles, Senior Researcher, Centre for Research Ethics and Bioethics, Uppsala University, Sweden, Task leader and research collaborator in the Ethics and Society subproject (SP12) of the EU-flagship Human Brain Project, Director of the Neuroethics Program at CIF (Centro de Investigaciones Filosoficas) in Buenos Aires, Argentina. Dr. Laura Cabrera is Assistant Professor of Neuroethics at the Center for Ethics and Humanities in the Life Sciences. She is also Faculty Affiliate at the National Core for Neuroethics, University of British Columbia. Laura Cabrera's interests focus on the ethical and societal implications of neurotechnology, in particular when use for enhancement purposes as well as for treatments in psychiatry. She has been working on projects at the interface of conceptual and empirical methods, exploring the attitudes of professionals and the public toward pharmacological and brain stimulation interventions, as well as their normative implications. Her current work also focuses on the ethical and social implications of environmental changes for brain and mental health. She received a BSc in Electrical and Communication Engineering from the Instituto Tecnológico de Estudios Superiores de Monterrey (ITESM) in Mexico City, an MA in Applied Ethics from Linköping University in Sweden, and a PhD in Applied Ethics from Charles Sturt University in Australia. Her career goal is to pursue interdisciplinary neuroethics scholarship, provide active leadership, and train and mentor future leaders in the field. The impact of scientific brain research and the effects of neurotechnology on human beings as biological and moral beings is increasingly felt in medicine and the humanities around the world. Neuroethics attempts to offer a collective response to the ethical issues raised by rapidly developing science and to find new answers to age-old philosophical questions. A growing number of publications show that the field has disseminated to many countries, including developing countries (1-3). Mindful that ethical issues are typically shaped by the interplay of science and society, there has been a recent emphasis on the need for a more culturally and socially sensitive field and a call for a wider and more inclusive neuroethics: a “cross cultural” “global” or “international” neuroethics (4). While the sentiment is good, what exactly a more inclusive neuroethics entails is not necessarily clear. Does it entail just recognizing the need for the field to be more aware of existing disparities in brain and mental health issues and their treatment in different regions? Does it entail recognizing the global scope of neuroethical problems? Or possibly working towards a common, unified approach to neuroethical issues that incorporates different viewpoints and methods? While increased awareness of the scope of international issues is easier to accomplish, such awareness is less impactful if not followed by some kind of action. But if action is needed, the issue becomes: what is the moral framework that should guide it? More fundamentally, is there a unified moral framework that will allow us to address neuroethical issues in their cultural and social contexts? While the search for a unified framework might sound promising, its existence is not without difficulties. It requires rethinking usual approaches and ethical frameworks, making us aware of local context as a critical element when addressing the issues, and considering history and prevalent socio-cultural traditions that might play a key role in shaping people’s attitudes towards neuroscience, the questions it raises, and the potential ways to resolve them. This requires a good deal of conceptual work on issues such as how to understand notions of culture and difference and the potential stereotypical understanding of the values and beliefs of different groups. It also requires examination of the moral weight of particularities in order to ensure that inclusivity recognizes differences but at the same time does not overstate their impact or otherwise promotes further separation of other cultures. 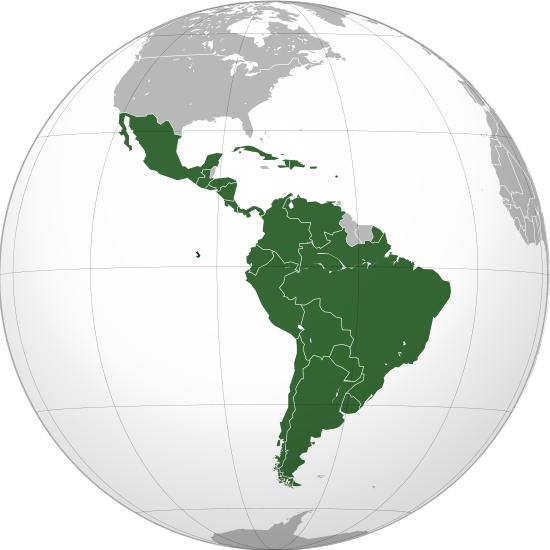 As we show next by focusing on some Latin American particularities, this is still a challenge. Latin America is a vast and multi-ethnic territory, rich in cultural traditions and histories that vary from country to country. 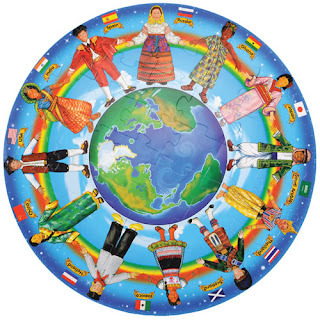 Thus, it is difficult to talk about Latin American values and beliefs in a generalized way. This becomes evident if we focus on topics such as the brain-mind relation, approaches to research and technology development or adoption, as well as approaches to mental health and brain diseases. In general, people’s views on brain health, mental health, and mental well-being are shaped by historical, social, cultural, political, and even economic considerations and they typically influence each specific culture’s attitude towards the use of neuroscience and neurotechnology for diagnosis, treatment of neuropsychiatric disorders, and academic concerns (such as the discussion of neuro-enhancement). The same happens in Mexico and Argentina. In addition to economic and political considerations that clearly impact people’s perceptions, there are medical, cultural, and/or social factors that impact people’s perceptions and shape their ethical priorities in a way left unaddressed in much mainstream neuroethical literature. a) Medical and Scientific: Both Mexico and Argentina are not only consumers of advanced neuroscientific techniques and neurotechnological tools in the clinical and research areas (e.g. Genomics, Diffusion Tensor Imaging, Deep Brain Stimulation, Transcranial Electric Stimulation, Transcranial Magnetic Stimulation) (5-12) but also producers of neuroscientific research (13,14). Importantly, while both countries share global medical priorities, such as the correct diagnosis and treatment of Alzheimer’s and Parkinson Diseases, there are additional local relevant neuropsychiatric priorities. For instance, in Mexico, Guatemala, Colombia, Brazil, etc., brain parasites accounts for up to 30% of epilepsy’s etiology (15). b) Cultural: Another important issue is how mental health and wellbeing are perceived and addressed locally. For example in Mexico, the mix of western and pre-Hispanic philosophies has been an important factor in leading many patients to consider going to a priest or a Chamán before consulting a psychologist or a psychiatrist (16). On the other hand, in Argentina, the prevalence of a psychoanalytic culture often results in people visiting psychoanalysts rather than psychiatrists (1). Indeed, the discipline of psychology, particularly in its psychoanalytic form is part of the everyday landscape and has shaped the language and beliefs of a significant portion of the population (1, 2). c) Social/practical: When thinking of a global, cross-cultural or international neuroethics it is key to consider international collaborations. This requires reflection of the day-to-day practical considerations of carrying crossborder collaborations. Cultural differences bring challenges in terms of different bureaucratic hurdles. In some locations, Institutional Review Boards (IRBs) might work quite differently, in terms of the expertise of their members, the number of meetings they have, the information requested for protocols that might not involve clinical research. In fact, in some places IRBs might not even exist. There might be places where collaboration with certain countries only occurs in certain research areas, but not so much in the field of neuroethics. In order to develop fruitful international collaboration to better understand neuroethical issues from a cross-cultural perspective more needs to be done to address those more day-to-day practical considerations. A continuous discussion around what it means to do global, international, or cross-cultural neuroethics has many merits: a better understanding of cultural relevant practices, beliefs, and concerns will strengthen neuroethics goals beyond the few countries where it has flourished. Yet much conceptual and groundwork remains to be done to respectfully learn from different cultures and promote frameworks that advance the local and global goals of neuroethics. Careful reflection on cultural diversity, what it means, how it shapes the perception of neuroscience, neurotechnology and mental health, and how respect for cultural diversity might unintentionally lead to stigma and discrimination of “different others” is a necessity. Such reflection will hopefully enrich a ‘global neuroethics.' This is however, a work in progress that starts from a re-evaluation from global concepts to clinical and research contextual challenges. 1. Salles A. Neuroethics in a "psy" world. The case of Argentina. Camb Q Healthc Ethics. 2014;23(3):297-307. 2. Salles A. Neuroethics in Context: The Development of the Discipline in Argentina. In: Johnson L. S. M. RK, editor. The Routledge Handbook of Neuroethics. New York, NY: Routledge; 2018. 3. Buniak L, Darragh M, Giordano J. A four-part working bibliography of neuroethics: part 1: overview and reviews--defining and describing the field and its practices. Philos Ethics Humanit Med. 2014;9:9. 4. Lombera S, Illes J. The international dimensions of neuroethics. Dev World Bioeth. 2009;9(2):57-64. 5. Morales-Marín ME, Genis-Mendoza AD, Tovilla-Zarate CA, Lanzagorta N, Escamilla M, et al. Association between obesity and the brain-derived neurotrophic factor gene polymorphism Val66Met in individuals with bipolar disorder in Mexican population. Neuropsychiatr Dis Treat. 2016; 25 (12):1843-8. 6. San-Juan D, Sarmiento CI, Hernandez-Ruiz A, Elizondo-Zepeda E, Santos-Vázquez G. Transcranial Alternating Current Stimulation: A Potential Risk for Genetic Generalized Epilepsy Patients (Study Case). Front Neurol. 2016; 28 (7): 213. 7. Alvarado-Alanis P, León-Ortiz P, Reyes-Madrigal F, Favila R, Rodríguez-Mayoral O, et al. Abnormal white matter integrity in antipsychotic-naïve first-episode psychosis patients assessed by a DTI principal component analysis. Schizophr Res. 2015; 162(1-3):14-21. 8. Piedimonte F, Andreani JC, Piedimonte L, Micheli F, Graff P, et al. Remarkable clinical improvement with bilateral globus pallidus internus deep brain stimulation in a case of Lesch-Nyhan disease: five-year follow-up. Neuromodulation. 2015; 18 (2). 9. Bendersky D, Ajler P, Yampolsky C. [The use of neuromodulation for the treatment of tremor]. Surg Neurol Int. 2014; 5 (5): S232-46. 10. Fisher RS, Velasco A. Electrical brain stimulation for epilepsy. Nat Rev Neurol. 2014; 10 (5): 261-70. 11. Piedimonte F, Andreani JC, Piedimonte L, Graff P, Bacaro V, et al. Behavioral and motor improvement after deep brain stimulation of the globus pallidus externus in a case of Tourette's syndrome. Neuromodulation. 2013; 16 (1):55-8. 12. Rocha L. Interaction between electrical modulation of the brain and pharmacotherapy to control pharmacoresistant epilepsy. Pharmacol Ther. 2013; 138 (2): 211-28. 15. World Health Organization. WHO, 2017. Recovered November 2nd 2017, from WHO: http://www.who.int/taeniasis/epidemiology/en.